Quality assurance and food safety. In European and Dutch legislation, many rules and requirements have already been included to safeguard food safety. The quality, and food safety policy within IQ Packing is a key value and is applied using high standards. 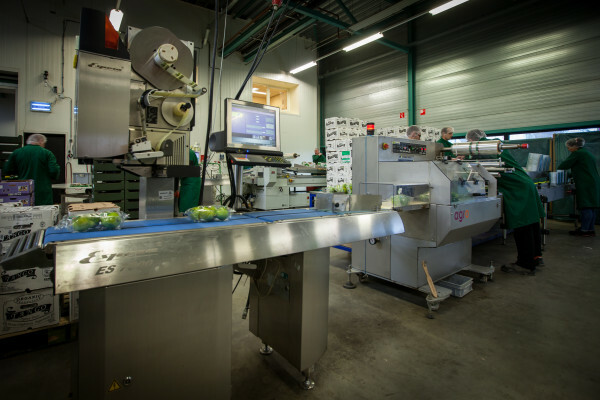 IQ Packing aims to be a certified and flexible wrapping, repackaging and packaging partner in the international vegetables and fruit market. The food safety management within IQ Packing focuses on continuous improvement and efficiency within the organisation. IQ Packing holds an IFS Food certificate, the sites in Waddinxveen and Hazeldonk are both certified at the highest level. In addition, IQ Packing holds the SKAL certificate for biological food processing. IFS , International Food Standard: this was founded by German and French retailers in 2003 and is the counterpart of the BRC standard. The IFS describes in her own way the procedures that result to the achievement of safeguarding the policy for quality, hygiene and food safety within food processing companies. Skal Bio control, as a watchdog, commits to demonstrable reliability of biological products in The Netherlands. Commissioned by the Ministry of Economic Affairs, they monitor the entire biological chain. IQ Packing, as a company for wrapping, repackaging and packaging of biological products is also monitored by SKAL. Corporate social responsibility is rather obvious for IQ Packing; we are a recognised training company, offering traineeship posts within our company. In addition we meet the standards of the Dutch Participation Act, which offers a workspace with guidance to people with disabilities. The market, which is continuously in motion, requires a constant update of knowledge within the discipline, which is gathered by visiting trade fairs and internal and external trainings. Education within IQ Packing is important in order to be able to retain the high level and improve it where possible. Due to sustainable disposal management within IQ Packing, we also hold the CO2 certificate.